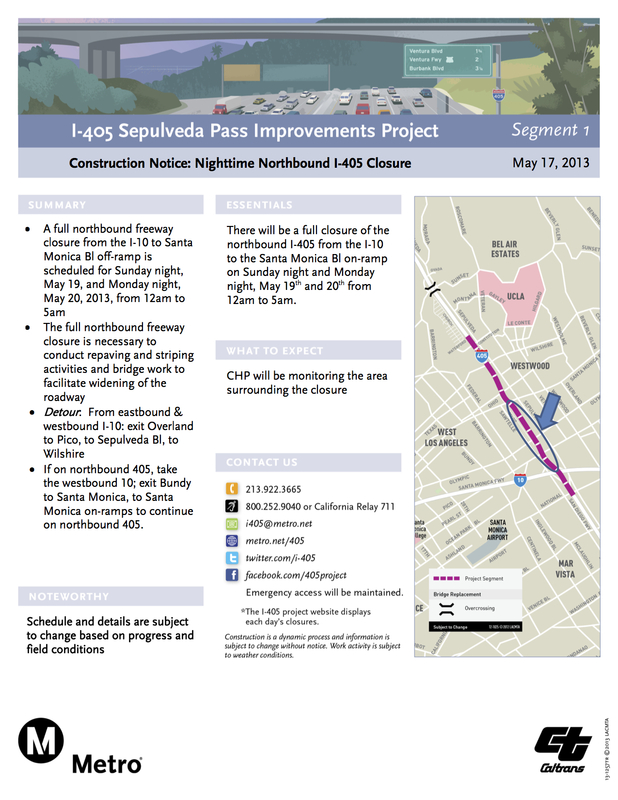 The above closure comes addition to the northbound closure tonight from 11 p.m. to 9 a.m. Sunday at Santa Monica Boulevard — motorists will be able to exit the freeway at Santa Monica Boulevard and then re-enter, but delays are expected. More information about tonight’s closure here. The above flier applies to the closure Sunday and Monday nights.